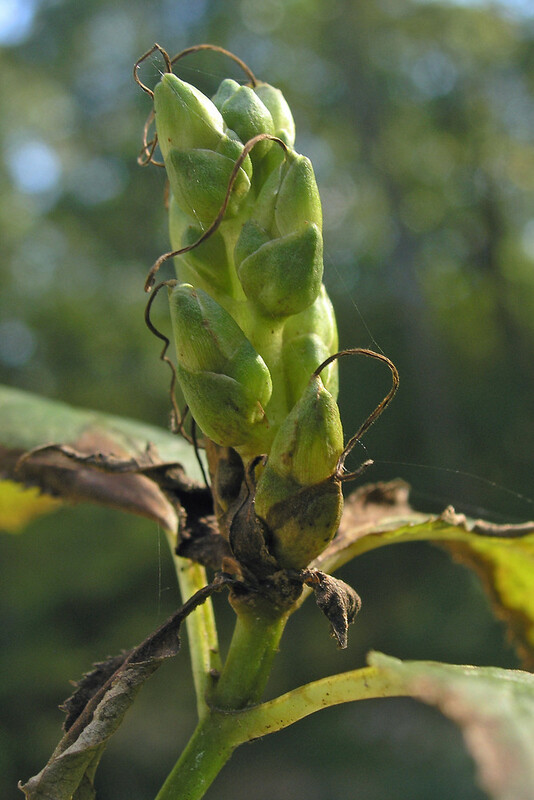 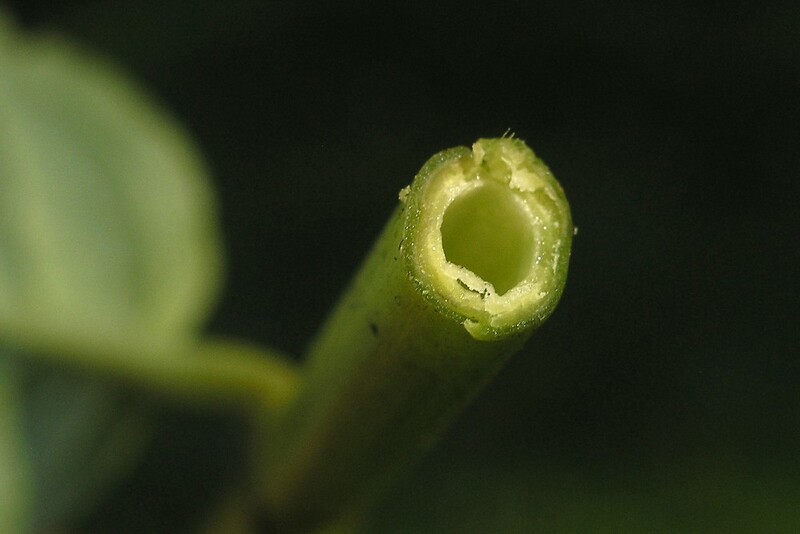 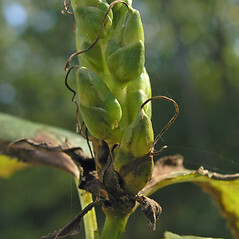 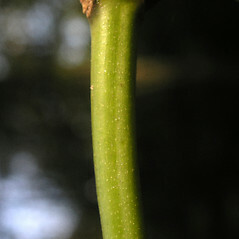 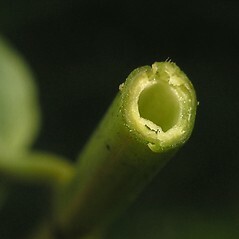 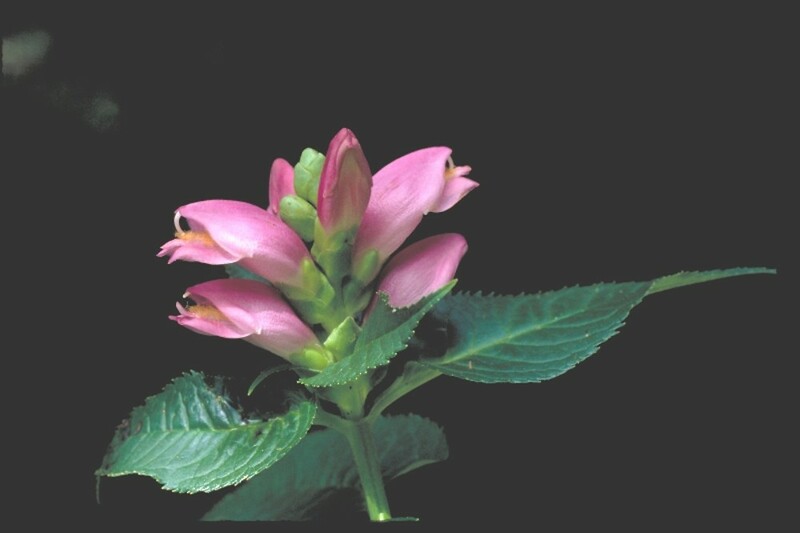 corolla white, sometimes partly green-yellow or tinged with pink near apex, staminode green, and leaves will ill-defined petioles or subsessile (vs. C. lyonii, with corolla red to red-purple throughout, staminode white, and leaves with evident petioles mostly 5-30 mm long). 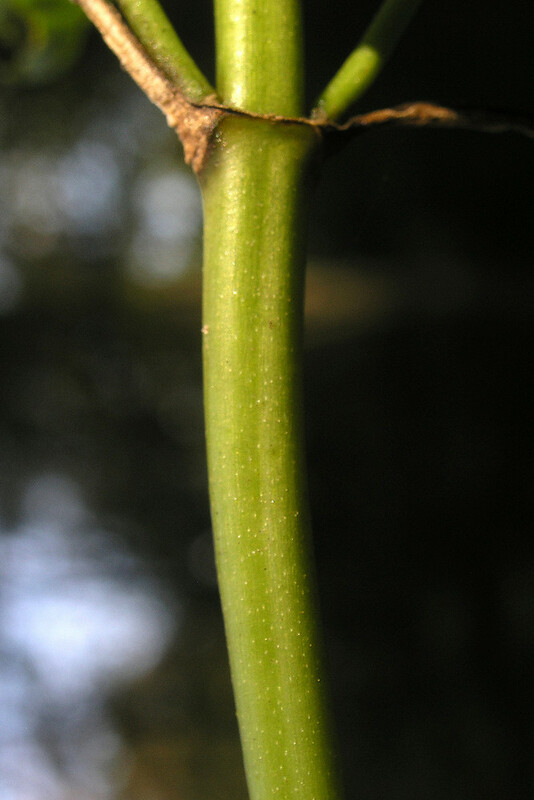 leaf blades lanceolate to narrow-elliptic, 14-40 mm wide, cuneate at the base, borne on petioles 5-15 mm long, and upper lip of corolla scarcely ridged (vs. C. lyonii, with leaf blades ovate, 30-100 mm wide, broad-rounded to truncate at base, borne on petioles mostly 15-30 mm long, and upper lip of corolla sharply ridged). 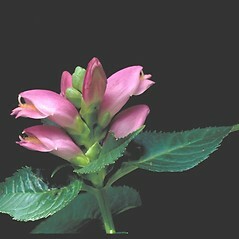 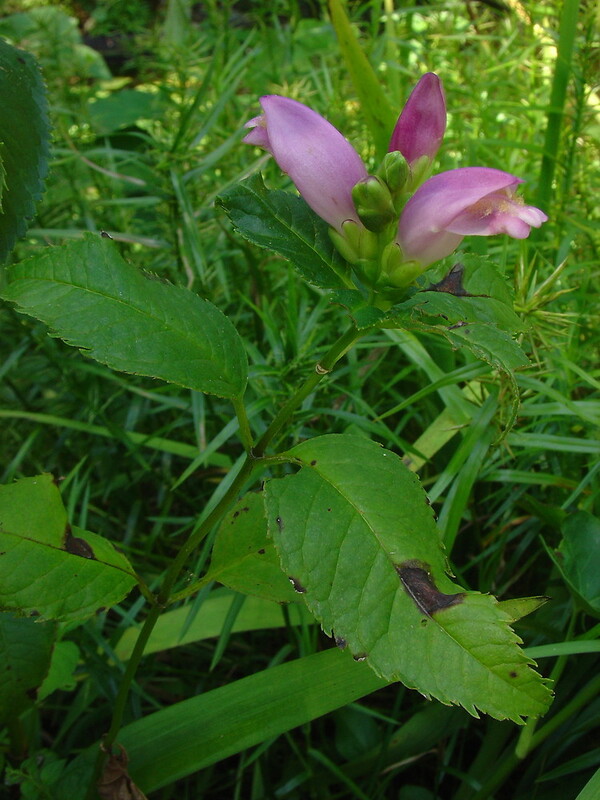 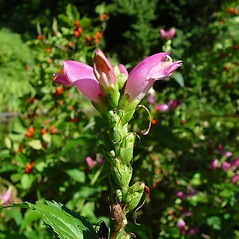 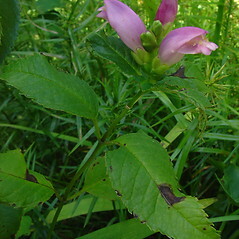 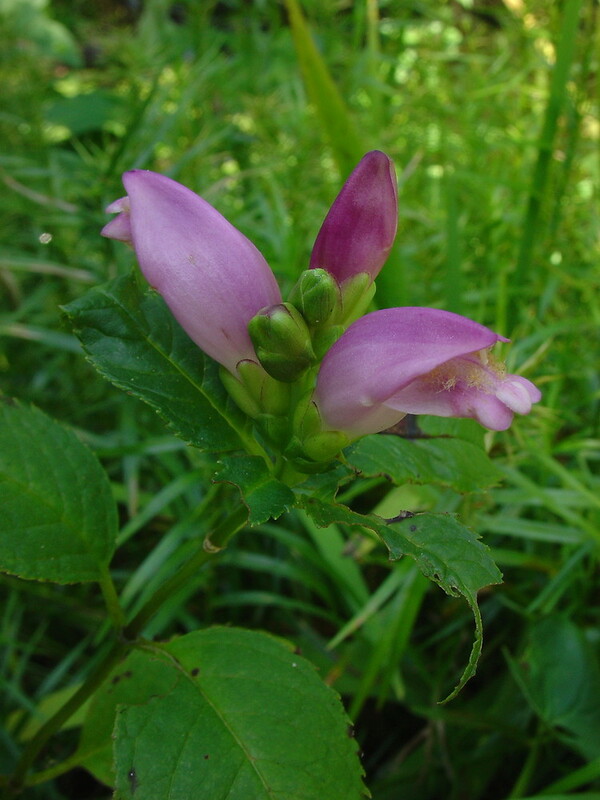 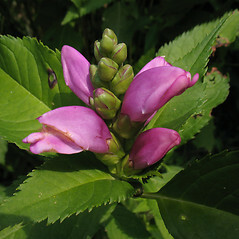 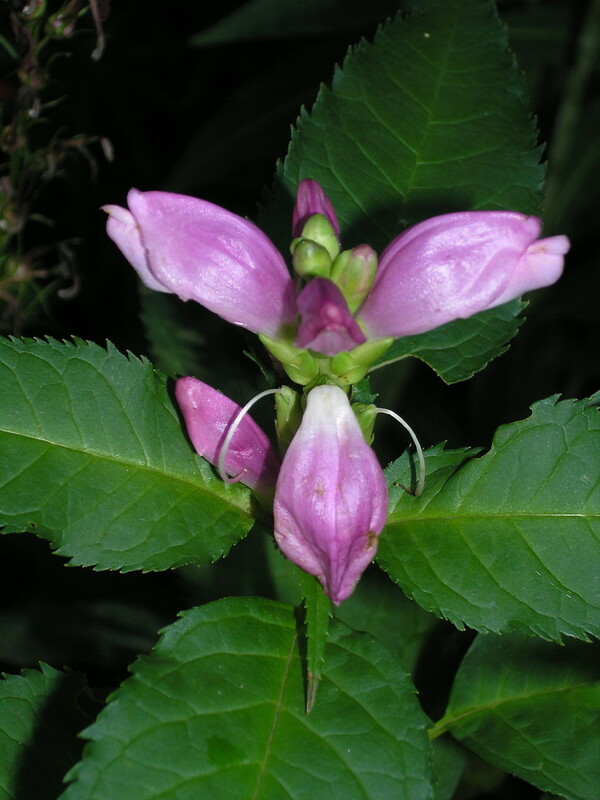 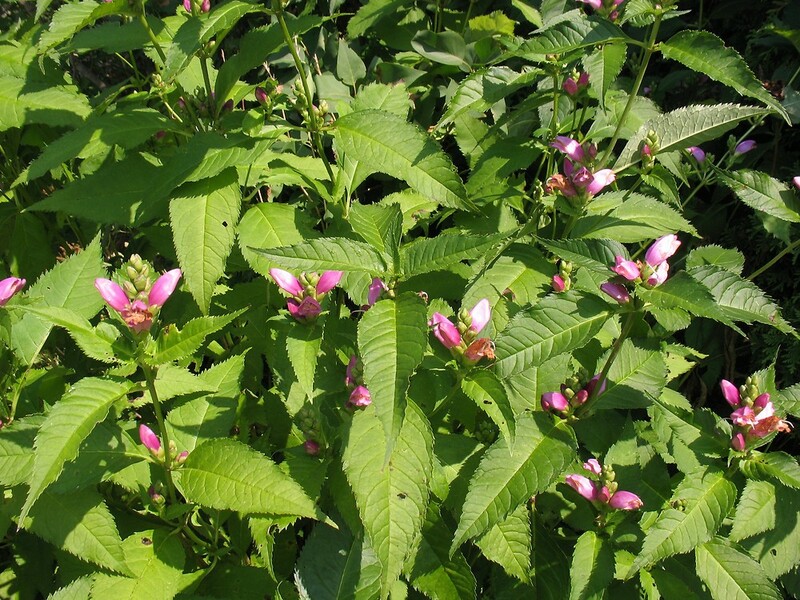 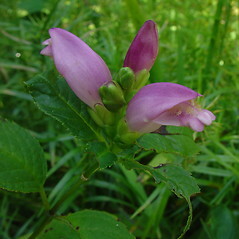 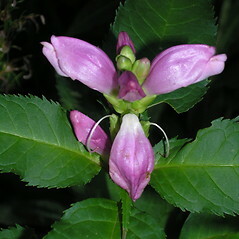 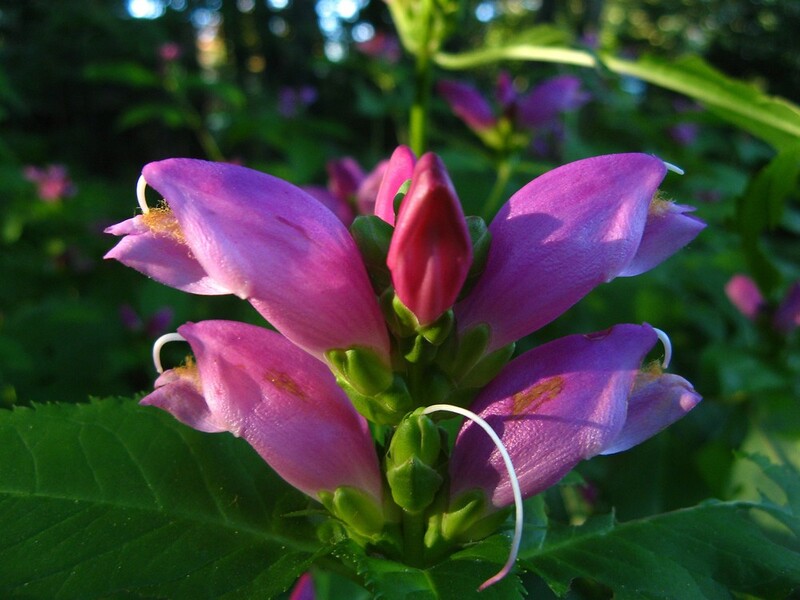 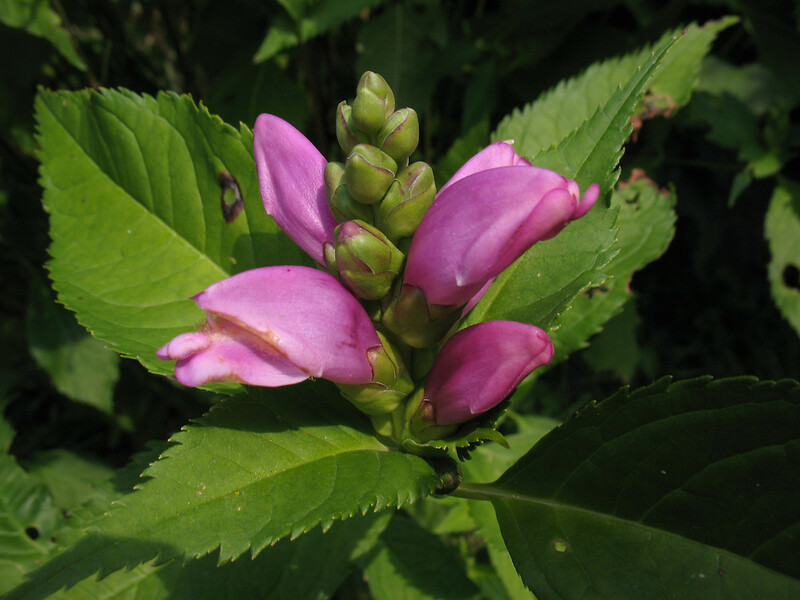 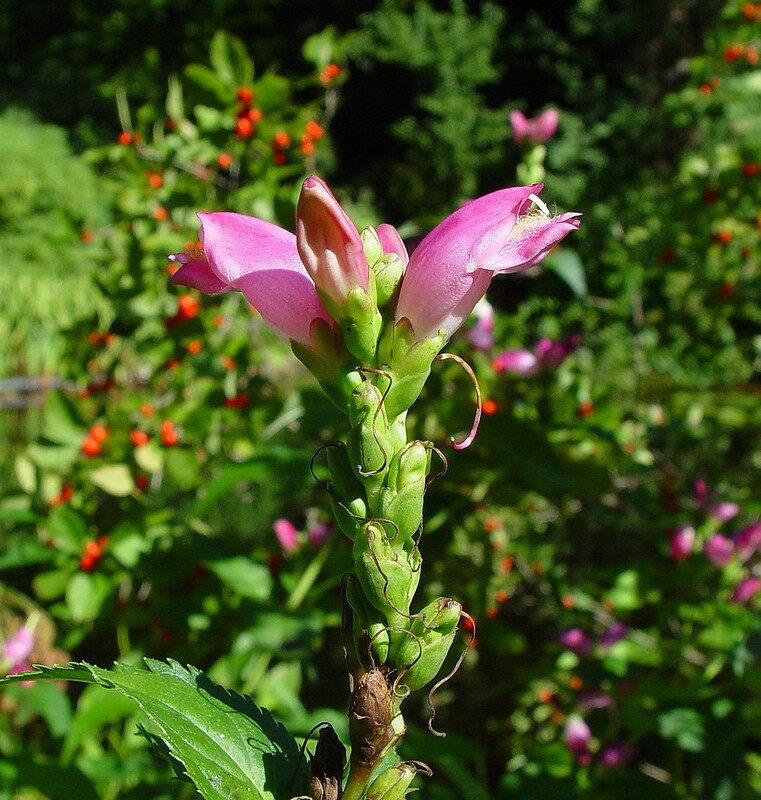 pink turtlehead. 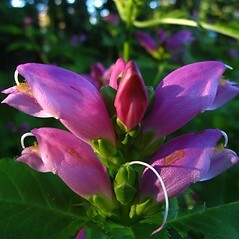 CT, MA, ME. 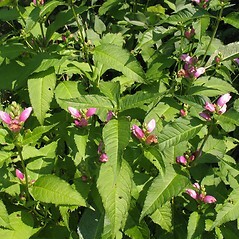 Wet soil, stream sides, areas of habitation.